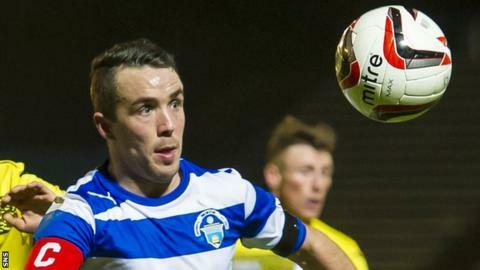 Hamilton Academical have re-signed winger Dougie Imrie with the 30-year-old leaving Greenock Morton. Imrie joins a New Douglas Park side heading for the Scottish Premiership after they won promotion via the play-offs. Morton were relegated from the Championship to League One in season 2013-14. "We will be able to confirm other signings during the week," said Hamilton on Twitter. After a two-year spell with Hamilton, Imrie joined St Mirren in 2012 before moving on to Morton last summer. Accies beat Morton 10-2 on the final day of the regular Championship season and Imrie scored both of the Greenock side's goals.